RankWyz is one the better services online which allow you to build your private blog network on public platforms. In this tutorial, you will learn how you can post content from Kontent Machine directly to your RankWyz account. UPDATE: Rankwyz is not working with the so-called Buckets. See Pavel’s video here to understand how to work with them. 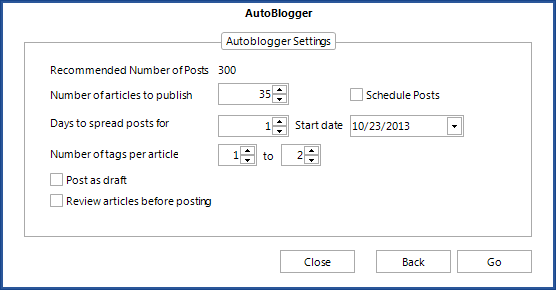 Important: Unfortunately Kontent Machine cannot create blog networks and submissions so you will have to do that in your RankWyz account first before feeding content to them. Also, you don't need to set up any links in RankWyz because you will be doing that in Kontent Machine. 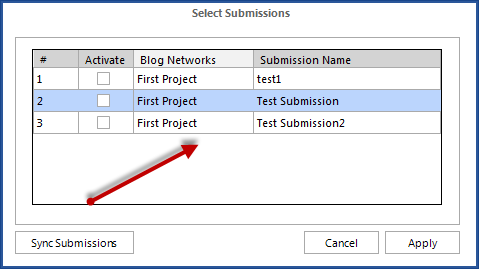 If you create a new submission at the same time, you can click Sync Submissions to have Kontent Machine pull it in this window. You need to have those submissions created in Rankwyz. When you are ready, just click Apply. The next window is just like posting to self-hosted blogs. The only difference is that you cannot schedule posts, you have to do that in your RankWyz account. 7. That's it! You will find the uploaded articles in your RankWyz account when you click on the submission and check the Uploaded Articles tab.